Pink Muesli is a premium product with a beetroot base, an ingredient that has been scientifically recognised for its heart health benefits. Marita, from Blampied, Central Victoria, credits a reduction in hypertension symptoms to her beetroot boost. As a wholefood enthusiast and keen muesli maker, Marita started experimenting with beets for breakfast in 2014. She retains natural food colour by dehydrating rather than baking muesli ingredients, which also maintains nutritional integrity. While the food industry was new terrain for Marita, her established corporate skills and psychology studies have proved useful for the start up. The home-grown idea is now a thriving business that sources beetroot from two local organic farmers; and word is spreading. Customers are discovering Pink Muesli at farmers markets, cafes and online. Stockists continue to approach Marita as more people get a taste for the product. A $5000 grant from Agriculture Victoria is supporting the rural business to meet growing demand. 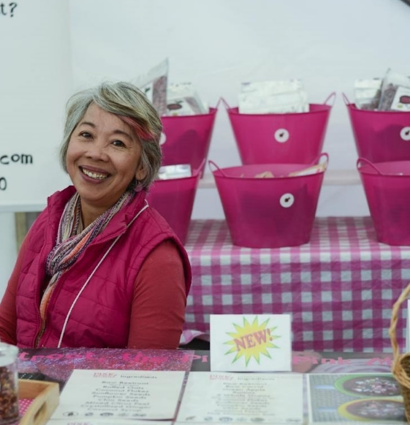 In October 2018, Pink Muesli was announced as a first round Artisanal Sector Program stage one grant recipient. It has enabled an upgrade in production equipment, from household to industrial scale. Marita is pleased that the new machinery is already improving dehydration times. “We can now go forward with stock supplies, confidently offering and delivering our products,” she says. Pink Muesli’s customers are largely health-conscious people who appreciate a quality product. “We also meet people who declare that they hate beetroot and screw their noses before they try it! But we are slowly creating a paradigm shift. I do love a challenge,” she says. For information about grant opportunities to grow your own artisanal agriculture business, visit agriculture.vic.gov.au/artisanag. Stage one grants close on 31 January 2019. Stage two grants will open this year.